Apple and Google shuttle buses, used for carrying employees from San Francisco to their out-of-town headquarters, have been subjected to a series of suspected pellet gun attacks over the past several days. Following the incidents, both the tech firms have rerouted employee buses keeping in mind the safety of their employees. It is reported that the first incident occurred last week on Friday, when an Apple shuttle bus was traveling from the Cupertino, California headquarters to San Francisco. According to an internal Apple memo (obtained by The Guardian), subsequent attacks were reported on Tuesday. The memo further noted that the shuttle buses would not take the Interstate 280 route until further notice. California highway patrol public information officer Art Montiel, however, believes that rerouting of the buses would not be effective. The shuttle buses were not marked with the logo of the tech company using them. But, according to The Guardian, the buses can be easily identified by the colors they are painted: blue for Facebook, silver for Apple and white for Google. Why are the buses being attacked? 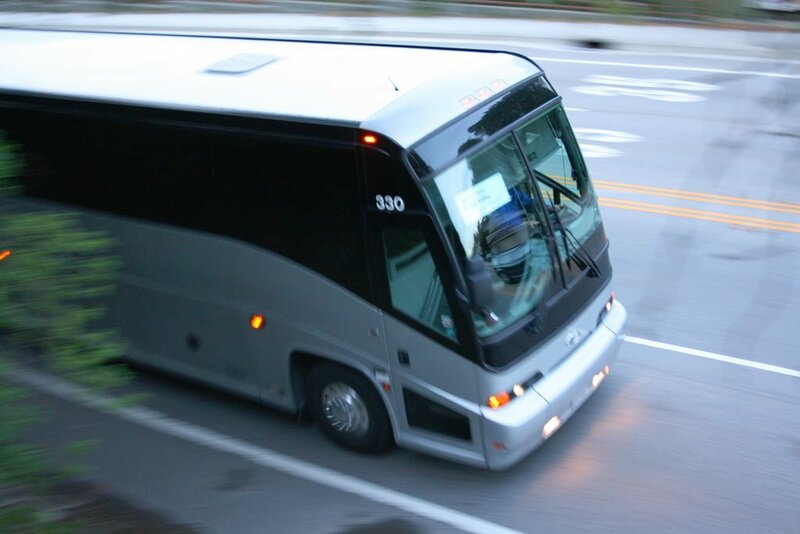 Tech firms operate free shuttle services between San Francisco and their offices in the Silicon Valley. The service, which is available only to the employees, has long been seen as a symbol of division between the tech workers and everyone else, notes Business Insider. The service has repeatedly been protested and often faced vandalism, including a lawsuit as well. In 2013, a Google bus in Oakland faced a similar protest when its window was smashed. Then the next year, protesters blocked the buses and waved banners expressing discontent over the privatization of the region’s transport system. So far this year, there have been at least five incidents reported of employee buses being attacked. Of those, four involved Apple shuttle buses, while one was carrying Google employees. However, there are no reports of anyone getting injured. It is possible that the latest incidents are another attempt to fight the Silicon Valley firms. However, nothing is clear for now, and the authorities are still investigating the incidents.